The µWave Wizard™ includes different kinds of optimizers for meeting user defined goal functions. The user inserts his requirements and specifications directly into the optimization panel. Self-defined variables allow a customized optimization and can even be modified during the ongoing process. While optimizing, the graphical user interface continuously displays performance data updates (i.e. optimization error and visualization of actual scattering parameters). 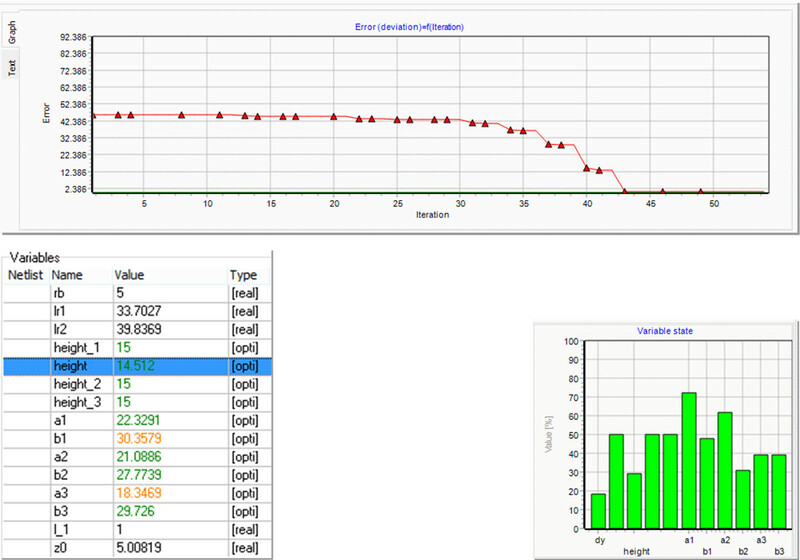 Furthermore, an optimization monitor shows improvements of the error function. All variables of type "optimization" are continuously updated. 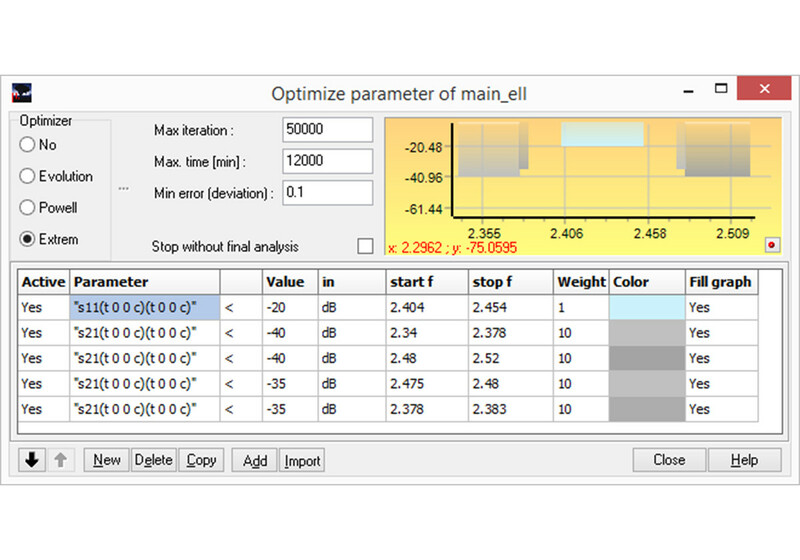 The optimization variables monitor includes a diagram which shows the current status of the variables during the optimization. 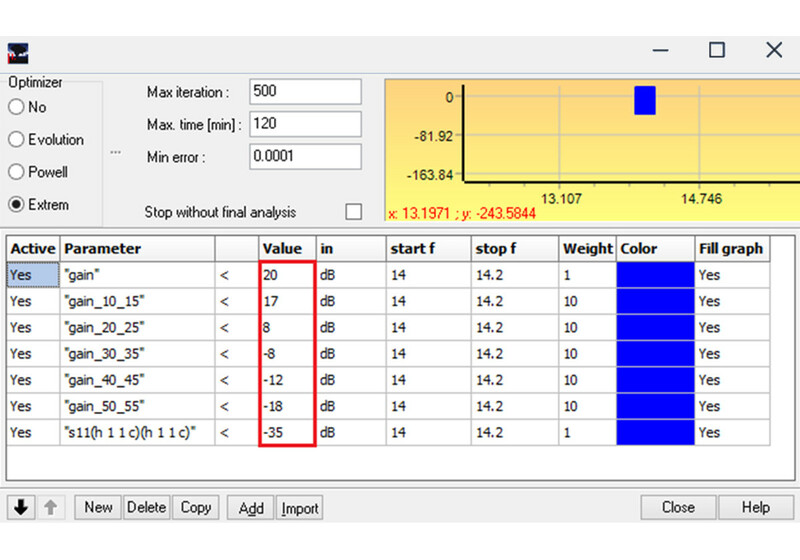 This feature is very useful to identify those variables which are close to their upper or lower bounds. 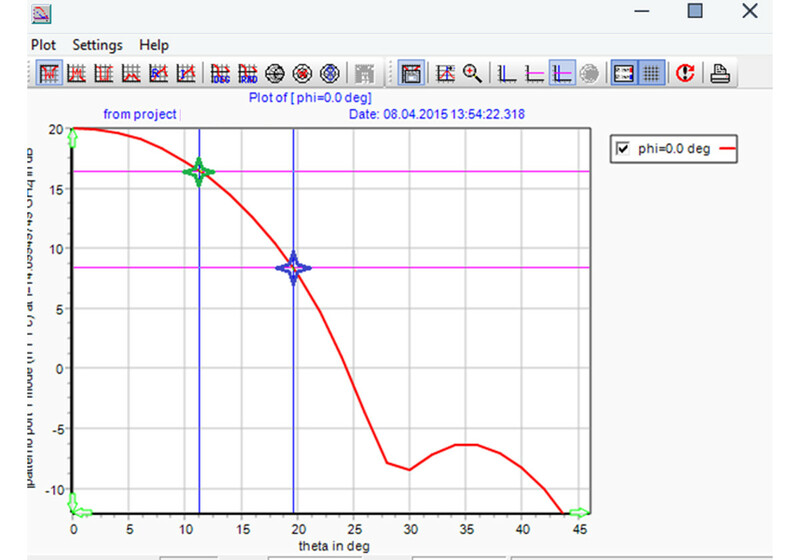 Antenna performance parameters like co-polar, cross-polar gain, phase center location, edge taper etc. can be extracted as variables of the type “output”. 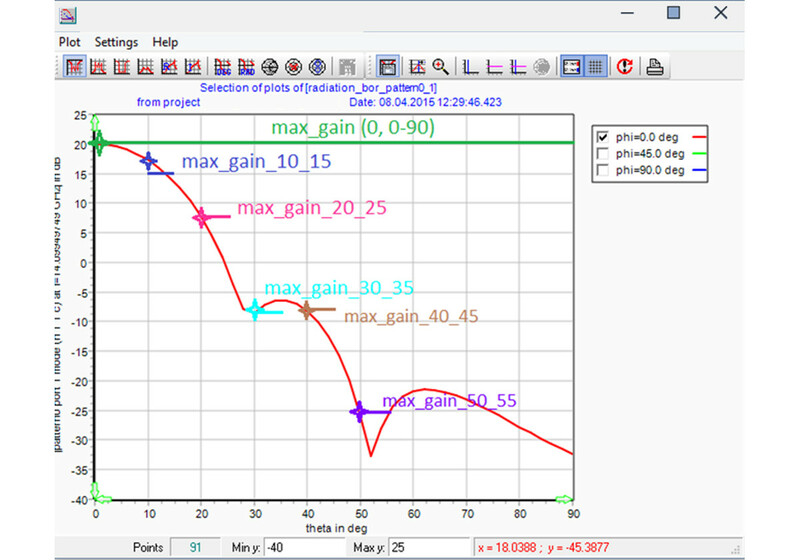 These performance parameters are accessible within the optimization window and support the optimization of the radiation pattern of the horn antenna as well as of the reflector antenna. 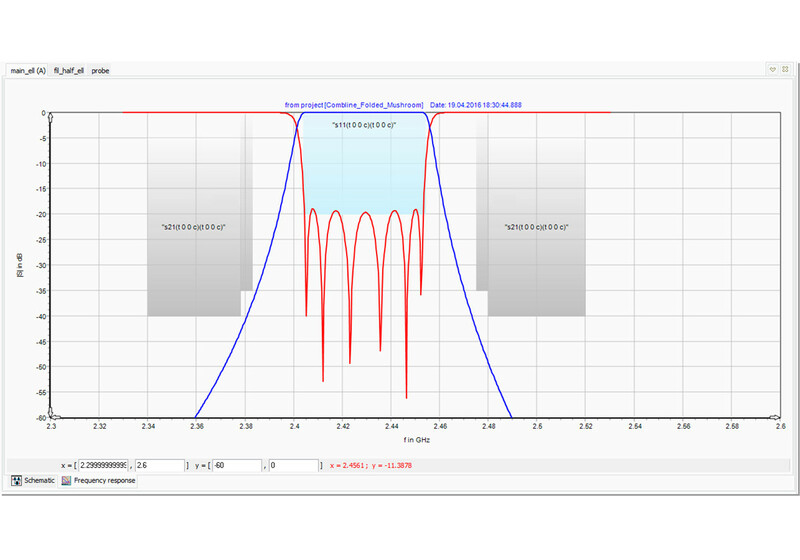 µWave Wizard™ provides the optimization of the antenna pattern of all excitation modes including the optimization of scattering parameters in case the antenna is connected to a complex feeding network or to OMTs, polarizers, manifolds, etc..